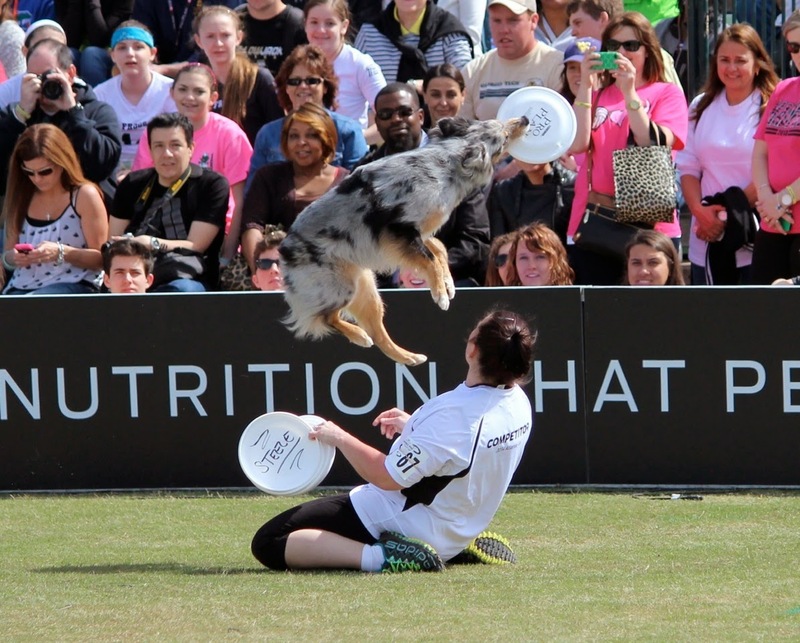 To Dog With Love: 2 Ways to Win With Purina Pro Plan: Incredible Dog Challenge & Photo Contest! 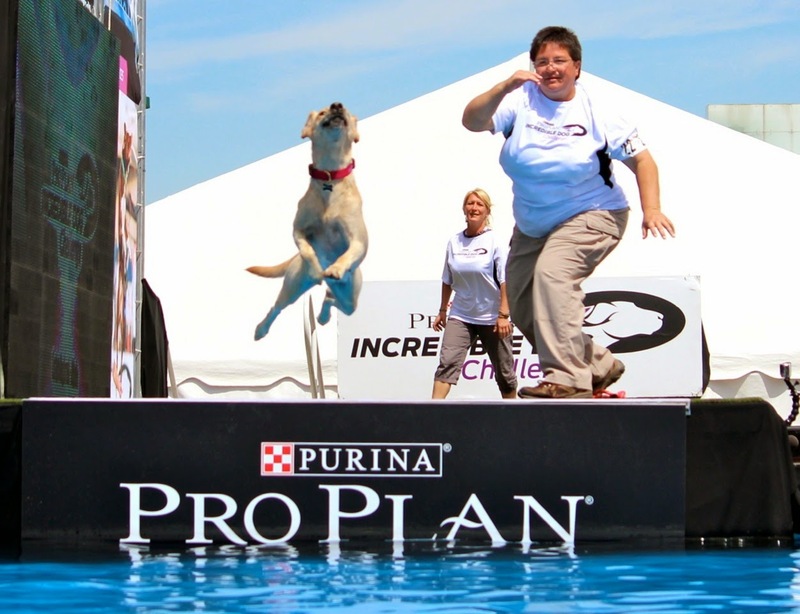 2 Ways to Win With Purina Pro Plan: Incredible Dog Challenge & Photo Contest! Earlier this year, Rocco and I got the chance to attend the Purina Pro Plan Incredible Dog Challenge Eastern Regional finals in Atlanta. 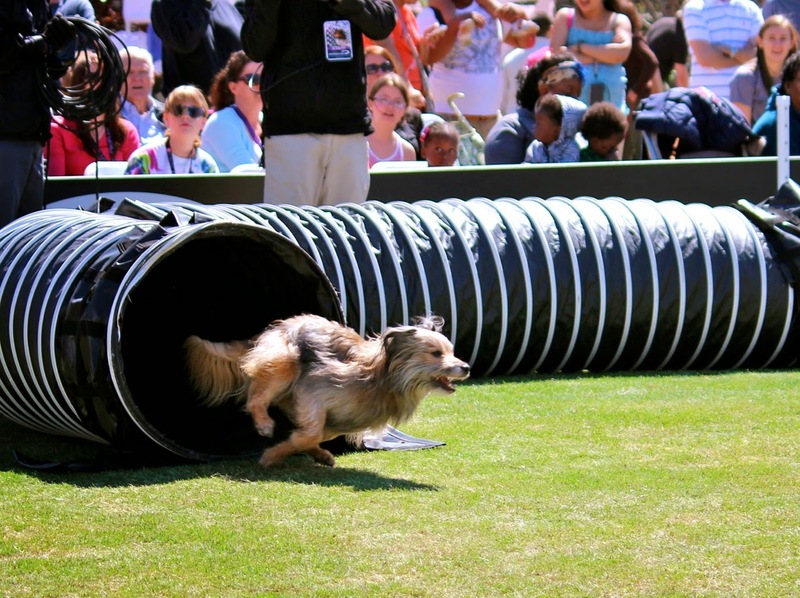 We had a blast watching all the agility, dock diving, disc dog action and more! Today, we have a special sweepstakes to tell you about where YOU can win an all expense paid trip to the Incredible Dog Challenge Western Regionals in Huntington Beach, California! Wow! We'd love to go there! And, we also have a fun photo contest where you show "what makes your dog great" for a chance to win Purina Pro Plan dog food, formulated to help you bring out the full potential in your dog. Read all the way down to learn how you have two ways to win with Purina Pro Plan! But first, a few more fun photos we took at this year's regional final in Atlanta. Two steps to enter. Three winners will each receive a Purina Pro Plan coupon valued at $17.99. Tell us why your dog is great via our Giveaway widget below. Enter by Thursday, December 25. Purina is providing the prizes for this giveaway. All opinions expressed herein are our own. wow that are great prizes, good luck to all doggies! Good luck to all. Have a marvellous Monday. Ma says I am great because I have always kept her safe. I am a medical alert service dog for her. I say its all in a days work. Bean has been the sweetest little love all year! http://twitter.com/dacemule/status/543872789208657920/photo/1 My dog Drago has been great in 2014 for a lot of reasons. He makes me laugh everyday. He is loyal, loving and so full of life. But, getting involved in discdog competitions has been such a joy. I hope there are many more years to enjoy this sweet happy furkid!! Awesome contest, I just entered !! My dogs love Pro Plan canned food! Here's my entry for the second part of the contest. https://twitter.com/Caluvsdogs/status/535495768837087232/photo/1. My dog is great because she loves giving back to the community as a Therapy Dog. She participates in children's READ programs, visits nursing homes, and participates in other activities where she offers support and smiles to people in need! My dog is great because he always puts his whole heart into everything he does.